The Italian government’s inspection commission published its report into the collapse yesterday. Scans of the report are available online, in Italian (link opens in new tab). The commission was established by the Ministero delle Infrastrutture e dei Trasporti immediately following the collapse of the Morandi Bridge, also known as the Polcevera Viaduct. A substantial section of the bridge fell, killing 43 people (link opens in new tab). Motorway operator Autostrade per l'Italia has criticised the report, saying that it does not take into account clarification provided by its engineers. 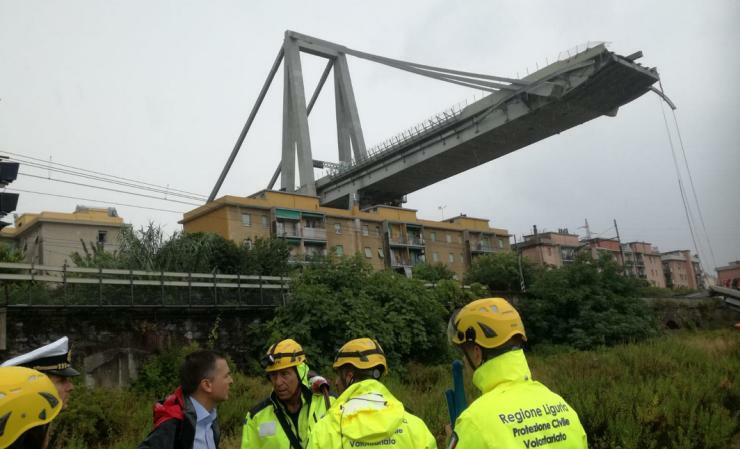 Autostrade added that its technical staff have not yet been permitted the access needed to enable them to carry out the analysis investigations necessary to determine the dynamics and causes of the collapse. It said that these issues have not been clarified by the commission, whose members have had free access to the site. Autostrade said that, in this context, the responsibilities assigned against it by the commission can only be considered a mere hypothesis yet to be verified and demonstrated. It also responded to a claim that maintenance has been minimised. It said that it has spent about €9 million (US$10.5 million) in the last three and a half years to improve the safety of the bridge, adding that a total of 926 construction days were carried out on the bridge in the period 2015-2018.